The HTC One Mini 2 - last of a dying breed. Smartphone manufacturing is a fickle business, and companies can't afford to take many risks when it comes to planning their product lines - which means if your tastes aren't in line with the masses then you might be out of luck. Phone size is a case in point: HTC's Jack Tong has confirmed that the company's mini range of phones have been killed off because the market is moving in the other direction. "Overall the industry is moving towards new phones over 5 inches in size and our product roadmap is close to that of the industry," said Tong at the Taiwan launch of the One M9 Plus, as Focus Taiwan reports. So there you have it: if you're a fan of phones you can operate comfortably in one hand then you might be out of luck until the sales trends start moving in the other direction. Even Apple has been getting in on the phablet action in recent years. The HTC One M9 Plus is a larger version of the HTC One M9 with a better screen resolution - but it's only on sale in Asian markets for the time being. 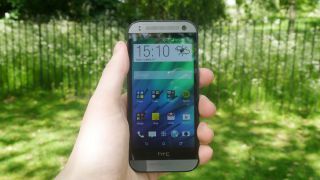 HTC has said that there are no plans for a US or UK release. The HTC One Mini 2, launched last summer, looks like being HTC's last small-ish phone for a while - Tong also confirmed that there would be no such mini launch in 2015. If you want to see smaller smartphones make a return, you'd better stop buying the bigger editions.